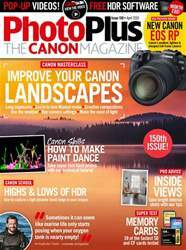 (3 Customer Reviews) | Write Review 13 issues per year "PhotoPlus is the only digital photography magazine 100% dedicated to Canon EOS digital SLR camera users. Practical photography techniques and Photoshop tutorials will help you improve shots taken with your Canon EOS and Rebel DSLR and all types of photography are covered, including easy shooting techniques for landscapes, wildlife, portraits, black & white, sports, still life and indoor and outdoor photography. Buying advice reveals the best Canon cameras, Canon-fit lenses and accessories, and jargon-free tips and advice from expert Canon users means it’s perfect for beginners and enthusiasts. Looking for PhotoPlus in print? Unfortunately pocketmags.com does not sell print copies of PhotoPlus, but all is not lost. Our partner at magazine.co.uk sells print subscriptions at the best prices online. 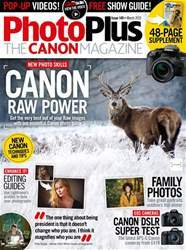 "PhotoPlus is the only digital photography magazine 100% dedicated to Canon EOS digital SLR camera users. 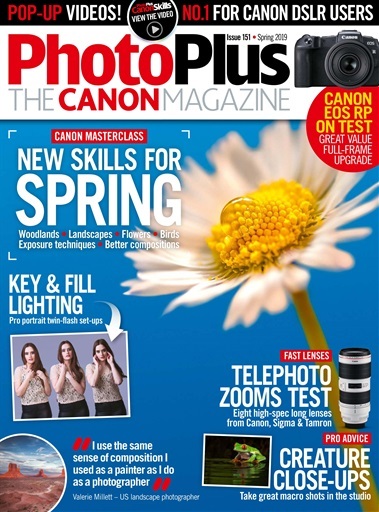 You'll receive 13 issues during a 1 year PhotoPlus magazine subscription. I live in the states, we pay more than twice the price for this mag. So it's a good bargain for us. Have been reading this mag for more than 3 years, and have saved every issue. So glad to find that PhotoPlus is available as a digital download. April issue is only 99p as well!! To everybody who misses the cover disc, look for the 'Watch the video' buttons that appear in the skills pages. You get access to the same videos from the coverdisc, but you view them online instead. 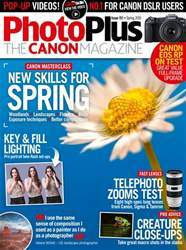 You'll receive 13 issues during a 1 year PhotoPlus magazine print subscription.